In addition to teaching the subject matter, online teachers are tasked with supporting students’ understanding of the online environment as well as students’ progress, engagement, and interactions within the course. Yet only four states and the District of Columbia require teachers to receive training in online instruction prior to teaching a K–12 online course (Watson et al., 2014). Directors of three supplemental online learning programs and one consortium in the Midwest administered a survey to their teachers to gather information about teachers’ preservice education and professional development, the challenges they encountered while teaching and supporting students online, and their perceived needs for additional professional development. Online teachers reported that they primarily received training while teaching online rather than during preservice education. The most commonly reported challenges were related to supporting student engagement and perseverance. The results from this survey suggest that online teachers may need additional training in multiple areas in order to best support their students. Further, the results highlight that more rigorous research is needed to determine the online instructional practices that improve student engagement, perseverance, and performance. Zweig, J. & Stafford, E. (2016). Training for Online Teachers to Support Student Success: Themes from a Survey Administered to Teachers in Four Online Learning Programs. Journal of Online Learning Research, 2 (4), 399-418. Waynesville, NC USA: Association for the Advancement of Computing in Education (AACE). Retrieved April 20, 2019 from https://www.learntechlib.org/primary/p/172573/. Akiba, M. (2012). Professional learning activities in context: A statewide survey of middle school mathematics teachers. Education Policy Analysis Archives, 20(14), 1–20. Archambault, L. & Kennedy, K. (2014). Research on teacher preparation for K-12 blended and online learning. In R. Ferdig& K. Kennedy (Eds. ), Handbook of K-12 Blended and Online Learning Research (pp. 225-244). Pittsburgh, PA: ETC Press. Beatty, P.C., & Willis, G.B. (2007). Research synthesis: The practice of cognitive interviewing. Public Opinion Quarterly, 71(2), 287–311. Biancarosa, G., Bryk, A.S., & Dexter, E.R. (2010). Assessing the value-added effects of literacy collaborative professional development on student learning. The Elementary School Journal, 111(1), 7–34. Boe, E., Shin, S., Cook, L.H. (2007). Does teacher preparation matter for beginning teachers in either special or general education? Journal of Special Education, 3(41), 158–170. Clements, M., Pazzaglia, A.M., & Zweig, J. (2015). Online course use in New York high schools: Results from a survey in the Greater Capital Region. (REL 2015–075). Washington, DC: U.S. Department of Education, Institute of Education Sciences, National Center for Education Evaluation and Regional Assistance, Regional Educational Laboratory Northeast& Islands. Retrieved from http://ies.ed.gov/ncee/edlabs. Cochran-Smith, M., Villegas, A.M., Abrams, L., Chavez-Moreno, L., Mills, T., & Stern, R. (2015). Critiquing teacher preparation research: An overview of the field, part II. Journal of Teacher Education, 66(2), 109–121. Dawley, L., Rice, K., & Hinck, G. (2010). Going virtual! The status of professional development and unique needs of K–12 online teachers. White paper prepared for the International Association for K–12 Online Learning. Boise, ID: Boise State University. Retrieved from http://edtech.boisestate.edu/goingvirtual/goingvirtual3.pdf Dawson, K. & Dana, N. (2014). Professional development for K-12 online teachers. In R. Ferdig& K. Kennedy (Eds. ), Handbook of K-12 Blended and Online Learning Research (pp. 245-266). Pittsburgh, PA: ETC Press. Retrieved from http://press.etc. Freidhoff, J.R. (2015). Michigan’s K–12 virtual learning effectiveness report 2013–2014. Lansing, MI: Michigan Virtual Learning Research Institute. Retrieved from http://www.mivu.org/Portals/0/Effectiveness_Report_PRINT.pdf Garet, M.S., Cronen, S., Eaton, M., Kurki, A., Ludwig, M., Jones, W., et al. (2008). The impact of two professional development interventions on early reading instruction and achievement (NCEE 2008-4030). Washington, DC: U.S. Department of Education, Institute of Education Sciences, National Center for Education Evaluation and Regional Assistance. Garet, M., Porter, A., Desimone, L., Birman, B., & Yoon, K. (2001). What makes professional development effective? Results from a national sample of teachers. American Educational Research Journal, 38(4), 915–945. Gemin, B., Pape, L., Vashaw, L., & Watson, J. (2015). Keeping pace with K–12 digital learning: An annual review of policy and practice. Evergreen, CO: Evergreen Education Group. Retrieved from http://www.kpk12.com/ Glazerman, S., Dolfin, S., Bleeker, M., Johnson, A., Isenberg, E., Lugo-Gil, J., Grider, M., & Britton, E. (2008). Impacts of comprehensive teacher induction: Results from the first year of a randomized controlled study. Washington, DC: U.S. Department of Education. Guskey, T., & Yoon, K. (2009). What works in professional development? The Phi Delta Kappan, 90(7), 495–500. Hathaway, D., & Norton, P. (2012). An exploratory study comparing two modes of preparation for online teaching. 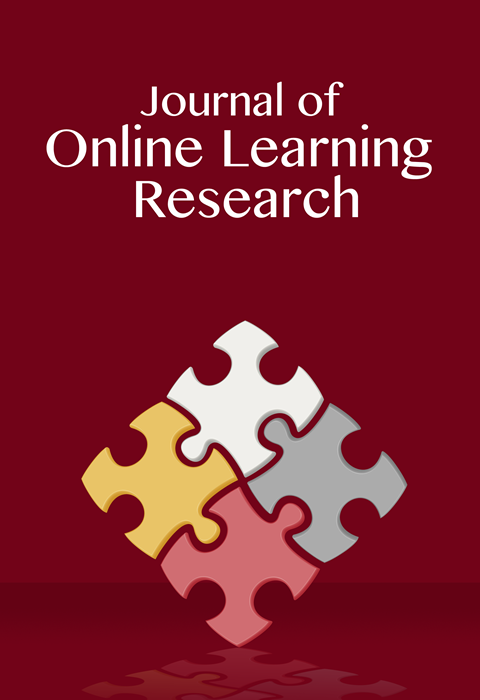 Journal of Digital Learning in Teacher Education, 28, 146–152. Ingersoll, R., & Strong, M. (2011). The impact of induction and mentoring programs for beginning teachers: A critical review of the research. Review of Education Research, 81(2), 201–233. Kee, A. (2012). Feelings of preparedness among alternatively certified teachers: What is the role of program features? Journal of Teacher Education, 1(63): 2338. Kennedy K., & Archambault L. (2012). Offering preservice teachers field experiences in K–12 online learning: A national survey of teacher education programs. Journal of Teacher Education, 63(3), 185–200. Kraft, M., & Blazar D. (2016) Individualized coaching to improve teacher practice across grades and subjects: New experimental evidence. Educational Policy, forthcoming. Lawson, M.A., & Lawson, H.A. (2013). New conceptual frameworks for student engagement research, policy, and practice. Review of Educational Research, 83(3), 432– 479. Nederhof, A. (1985). Methods of coping with social desirability bias: A review. European Journal of Social Psychology, 15, 263–280. Ramey, S.L., Crowell, N.A., Ramey, C.T., Grace, C., Timraz, N., & Davis, L.E. (2011). The dosage of professional development for early childhood professionals: How the amount and density of professional development may influence its effectiveness. Advances in Early Education and Day Care, 15, 11–32. Rice, K., & Dawley, L. (2007). Going virtual! The status of professional development for K–12 online teachers. Boise, ID: Boise State University Department of Educational Technology. Retrieved from http://edtech.boisestate.edu/goingvirtual/goingvirtual1. Pdf. Russell, M., O’Brien, E., Bebell, D., & O’Dwyer, L. (2003). Boston College: Use, Support, and Effect of Instructional Technology [USEit] Study teacher survey. Retrieved from http://www.bc.edu/research/intasc/researchprojects/USEIT/useit.shtml Southern Regional Education Board. (2006). Standards for quality online teaching. Retrieved from http://publications.sreb.org/2006/06T02_Standards_Online_Teaching. Yoon, K.S., Duncan, T., Lee, S.W.-Y., Scarloss, B., & Shapley, K. (2007). Reviewing the evidence on how teacher professional development affects student achievement (Issues& Answers Report, REL 2007–033). Washington, DC: U.S. Department of Education, Institute of Education Sciences, National Center for Education Evaluation and Regional Assistance, Regional Educational Laboratory Southwest. Retrieved from http://ies.ed.gov/ncee/edlabs/regions/southwest/pdf/rel_2007033.pdf Zweig, J., Stafford, E., Clements, M., and Pazzaglia, A.M. (2015). Professional experiences of online teachers in Wisconsin: Results from a survey about training and challenges (REL 2016–110). Washington, DC: U.S. Department of Education, Institute of Education Sciences, National Center for Education Evaluation and Regional Assistance, Regional Educational Laboratory Midwest. Retrieved from http://ies.